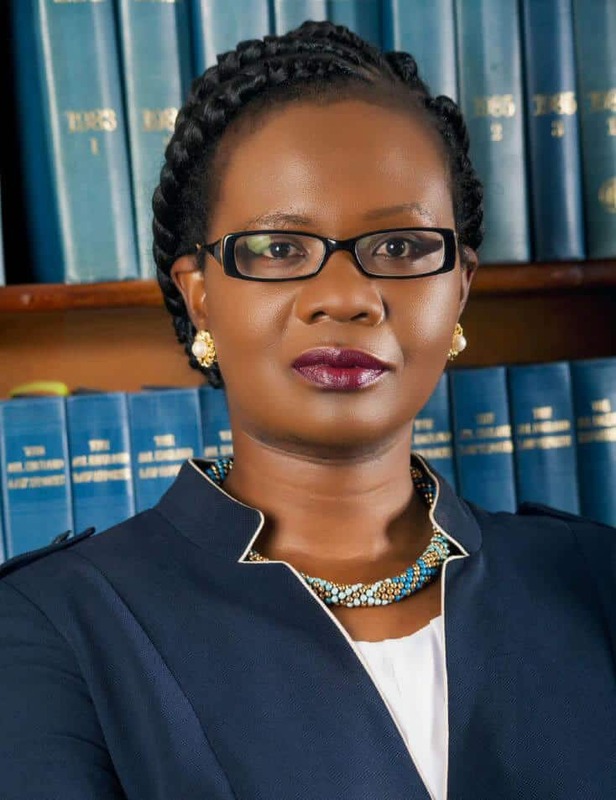 In 2016, Linda Kasonde became President of the Law Association of Zambia (LAZ), an institution charged with promoting and protecting the rule of law, the constitution, good governance and social justice, alongside regulating the country's legal profession. This gave her the honor of being the first female to hold the position in the history of the Bar Association, either before or after Zambia gained its independence in 1964. Over seven years, Kasonde made full use of her characteristic determination and focused work ethic, previously holding the positions of Vice-President and Honorary Secretary of the Association. It was this exceptional display of fortitude that allowed her to break into a traditionally male-dominated profession. A champion of education, Kasonde has taken part in prestigious executive programs at both IE and Harvard. She believes we all must be willing to learn and teach, just as life has taught her to believe in herself without placing limits on our dreams, aspirations or even ourselves. As testament to her outstanding career, Kasonde was nominated for the Women Inspiring Women award at the EPIC Alumni awards. In 2016, Linda Kasonde became the first woman to preside over the Law Association of Zambia in its 53-year history. This organization promotes respect for the law, constitutionalism, good government and social justice, as well as regulating the jurists in this African country. This association also has the thankless task of dealing with sensitive questions regarding government and the rule of law. “These are the aspects that attract the greatest public attention. It often means getting into a conflict with the government”, says this lawyer, who advanced her studies at IE and at Harvard. “If, like me, you have the bad luck of being in the post during a period of national elections, you’ll have to assume some risks and be rather audacious. That requires courage, and courage is what makes the difference between greatness and losing hope”, she adds. Her occupation of this post –traditionally held by men– wasn’t immediate. It meant unbreakable will and seven years of hard work, during which Kasonde was also vice-president. Since reaching the top of the Law Association of Zambia she’s had to fight several battles. The main challenge was fighting against a constitutional amendment that permitted a minister to remain at his job even after the dissolution of Parliament. The Law Association opposed this, and demanded that being a member of Parliament was a requisite for heading a ministry. She didn’t hesitate to ask the ministers to leave their positions after the dissolution of Parliament, and even brought the matter to the Constitutional Court. “As president of the Association, I wasn’t very popular with the government, and was discredited by the news media. But we defended our positions, and four days before the general elections the Constitutional Court ruled in our favor. It not only established that the ministers would have to leave their position after the dissolution of Parliament, but also ordered that they return their salaries and any emoluments they had received during the period in which they had illegally occupied their position. It was an historic decision. What I’m trying to say is that leadership brings with it many challenges. Doing the right thing and doing it well isn’t for the weak. Put more crudely, you sometimes need balls of iron”, says Kasonde, who stresses that her period at IE helped her perfect the skills for meeting a crisis. Kasonde says that during her road toward the presidency of the Association she was accused of being overly ambitious. “We live in a world where false modesty is praised and genuine self-confidence is denigrated, where being run-of-the-mill is seen as a virtue, and being ambitious –even for unselfish reasons– is considered a vice. In other words, if you want to be popular, don’t be a leader”, she adds. In spite of the difficulties involved in being the first president of a conservative association, she says the result has been positive. “When women see other women in influential positions, they realize that they can also do it”, she says. Kasonde says that life has taught her to believe in herself, to not accept a situation, to be willing to learn and to teach, not to place limits on herself, and to never renounce her dreams and aspirations. “All this is important for any woman who aspires to leadership in any part of the world, not just Zambia. They have always told us what we can do and can’t do. This explains why there are so few women leaders in the world. Many women feel they are not good enough or that it’s too difficult. Having confidence in yourself is the key, because when you try to do something new there are often people who will tell you that you can’t. On many occasions you will be the only person who believes in you”, she says. For her, being a woman with power is always harder. “You just have to look at the presidential election in the United States or the impeachment of Dilma Rousseff in Brazil. Women are more susceptible to these kinds of attacks”, she points out. Global data is revealing: only 23.3% of the deputies all over the world are women, and according to the magazine Forbes, of the leadership positions in business, only 24% are occupied by women. Kasonde emphasizes that a woman who chooses to be a leader can’t be afraid of failure. She also stresses the importance of colleagues in reaching her goals. “I don’t think we include men enough. Without getting them involved, we can’t win this battle”. In her opinion, the key for women who want to make a difference is in being resilient and having a clear will to lead. Kasonde says it is gratifying to have been nominated for the EPIC ALUMNI prizes. “It’s encouraging to be recognized for the work you do, and if I should win I want to be able to inspire other women to achieve their full potential. It’s been a hard road and it’s good to know that there are people who appreciate my work”, she says.